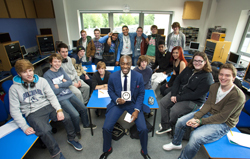 YOUNG entrepreneurs and potential high-fliers are fired up to succeed after an audience with former Apprentice winner Tim Campbell at Havering College of Further and Higher Education. 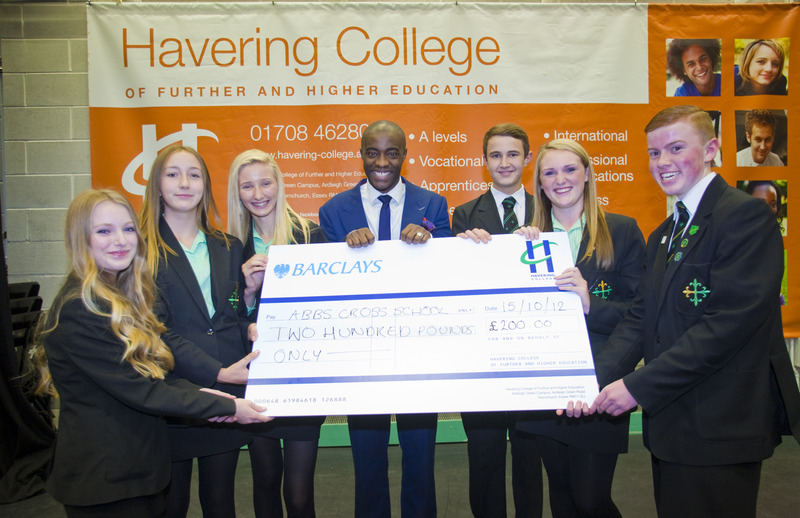 The businessman, who is the Mayor of London’s Ambassador for Training and Enterprise, was the guest of honour at a prestigious awards ceremony for high achievers at the college based in Hornchurch, Essex (http://www.havering-college.ac.uk). Almost 500 people attended the college’s sparkling Further Education Awards at the nearby Queen’s Theatre. Prizes were presented to more than 80 students for a wide array of achievements. 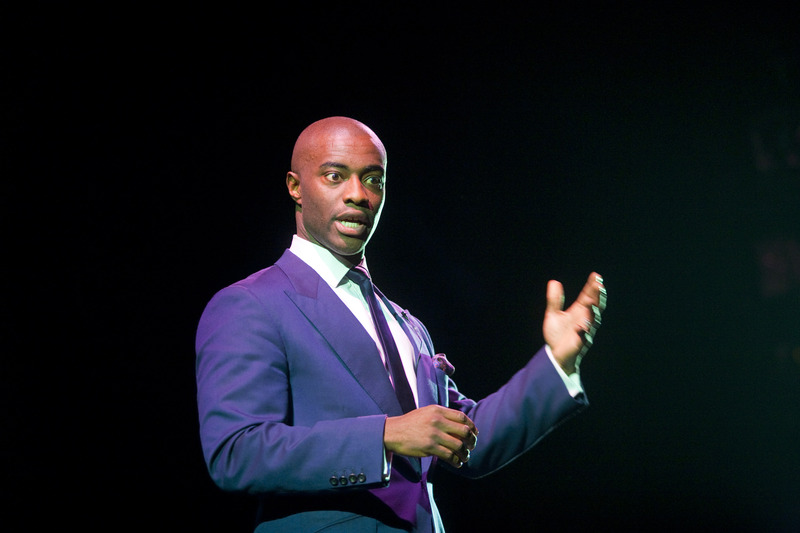 Tim, who holds an MBE for Services to Enterprise Culture, delivered the motivational address. He inspired students by talking about his own journey to success. He was brought up in Stratford by his single mother from Jamaica, left school with three A-levels and 11 GCSEs, and was the first in his family to go to university where he graduated with a BSc in Psychology. He joined London Underground and worked his way up a managerial position before competing in the BBC TV series The Apprentice when he was crowned the first winner by Lord Alan Sugar. Tim has gone on to found the Bright Ideas Trust – a charity to help young people turn an idea into a business by providing advice, funding and support. He also has a property company. Earlier in the day, Tim visited the college’s Ardleigh Green Campus where he ran a masterclass for business students. Pupils from Havering secondary schools also came along to take part in an enterprise competition judged by Tim. Schools were set a business challenge based around the concept of a school year book. Each school team had to pitch their ideas to Tim, who is the co-author of one of Amazon’s top ten business books, What’s Your Bright Idea? The winning school, Abbs Cross Academy and Arts College, was presented with a cheque for £200. Tim then delighted the two running-up teams - Emerson Park School and Coopers’ Company and Coburn School – by pledging £100 of his own money to further develop their business ventures. To find out more about the range of Business courses on offer for school leavers and adults at Havering College, go to the Open Event at the Ardleigh Green Campus on Tuesday, November 13th from 4.30pm-8pm. You can also call the college’s Threshold Services team on 01708 462801, email information(at)havering-college(dot)ac(dot)uk or visit http://www.havering-college.ac.uk.